The Logie is a beautifully designed Salmon pattern for the river Dee, it has been around for many years tied originally in the 1950's and is not so widely fished these day but is makes a beautiful fly brooch, so if you are looking for a old pattern with class this is it. Hand tied on a gold brooch pin, this will sure to flatter any outfit or hat. 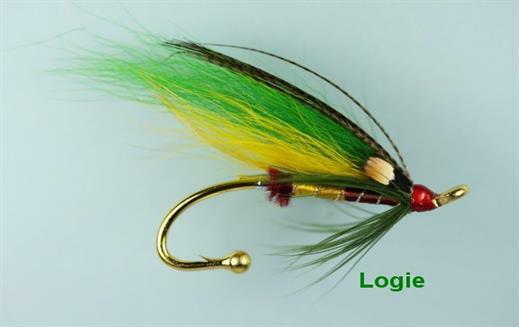 Currently there are no comments about the Logie Brooch Pin fly pattern from other fly fishermen yet.